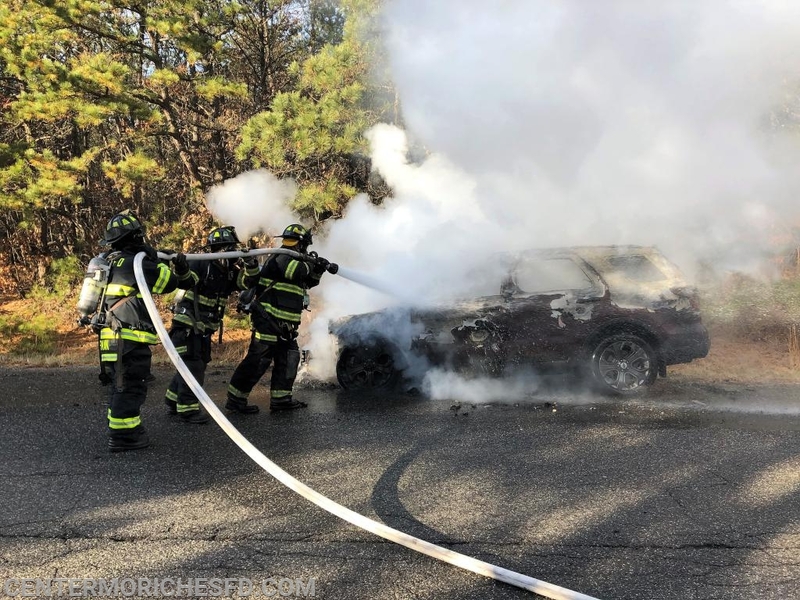 At 2:14pm Center Moriches Firefighters were requested to a car fire on the North Service Road of Sunrise Hwy west of Wading River Road. 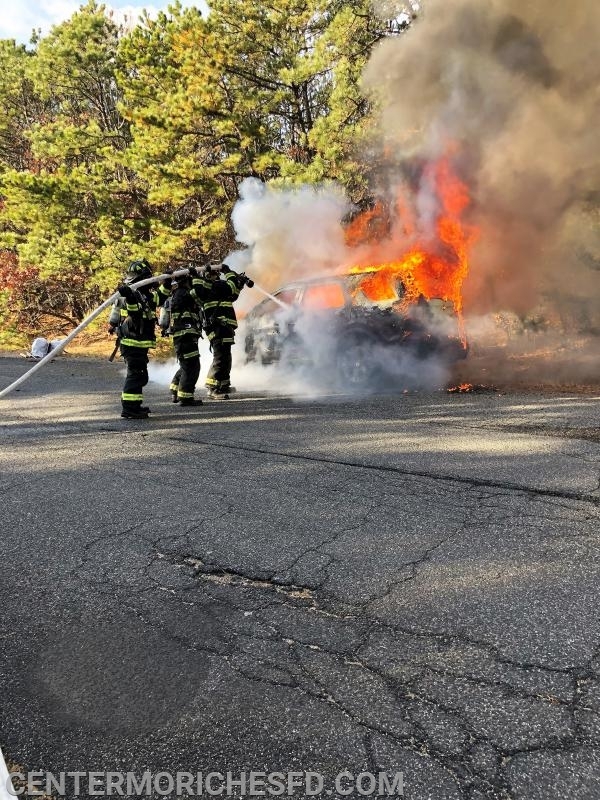 Firefighters arrived to find an SUV completely engulfed in flames. 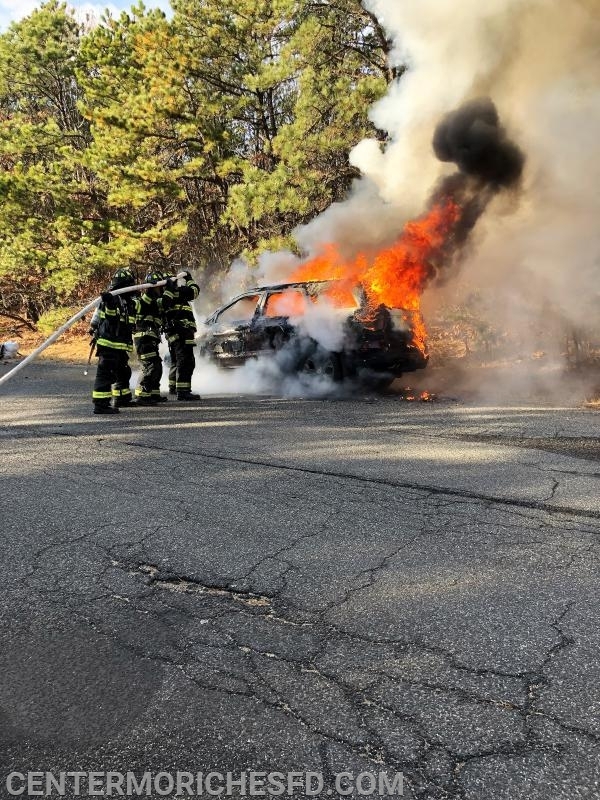 The occupants of the vehicle escaped without injuries after smelling smoke and pulling over to the side of the road. The North Service Road was temporally shut down while firefighters extinguished the fire. Units were back in service within 20 minutes.